Broadband internet expert who has worked in the field for over 20 years, including for New York State's Broadband Program Office. His work has appeared on CNN, Broadband World Forum, Broadband Communities Summit, and Time Magazine. Physical access to broadband is obviously the most important factor in gaining access to the Internet. However, broadband is delivered via different technologies and the type of technology determines the range of speeds delivered to your computer. Many other factors will determine the speed of your connection as well. Yet, all of this affects how quickly you can access information, download files, or receive e-mails. The speed of your connection also determines the quality of the video you are watching or the audio you are listening to. Everyone has experienced frustrating delays waiting for a movie or song to download or watching a movie that stutters and skips on your monitor. The worst is probably when you get the dreaded "buffering" message. Buffering simply means your connection cannot handle the speed at which the video is being delivered to your computer screen. It must therefore momentarily collect data before it continues playback. It's similar to how your printer collects data you send from your computer to print. Depending on which application you are using, ​the speed of your connection will often determine whether it is even possible to run the application effectively. A movie is not enjoyable if it stops playing every few minutes. So, how fast of a connection do you need to perform specific tasks and run certain programs? There are two different factors to consider when measuring speed. Bandwidth refers to the size of the conduit in which the data is traveling within. Speed refers to the rate at which the data is traveling at. Using that definition, you can quickly see that a larger bandwidth will permit more data to travel, which will also increase the rate at which it travels. However, this does not necessarily mean that the speed of your broadband connection will be the same as your bandwidth. Bandwidth simply refers to the size of the “pipe” in which it is traveling. For example, let's say you're transferring a file at 128 Kbps (kilobits per second). If you start to transfer another file it will compete for bandwidth and slow your speed down. If you increase your bandwidth by adding another 128 Kbps ISDN line, your first file will still travel at 128 Kbps, but now you can transfer both files at 128 Kbps without sacrificing speed. An analogy would be a highway with a 65mph speed limit. Even if more lanes were added to handle more vehicles, the speed limit is still 65mph. For these reasons, broadband providers advertise speeds in ranges, not guaranteed numbers. This makes it difficult to estimate specifically how fast a specific connection will be. Providers know they can provide a certain amount of bandwidth to handle specific amounts of data. They do not know precisely when this data will be traveling or when specific demands will be placed on the network. Your connection speed should fall within the ranges listed for the packages offered. The bandwidth for these offerings should not be less than the maximum speed listed. For example, you cannot have speeds of more than 15 Mbps (megabits per second) with a bandwidth of 15 Mbps. Some providers offer up to a certain speed. In these cases, the “up to” speed is the bandwidth, which means that the speed you will actually experience could be much lower. In essence, there is no difference between uploading and downloading data aside from the direction of the data transfer. The faster your internet connection speed, the faster your uploading and downloading capability. Upload and download speeds are most easily measured when they are symmetrical. This simply means that download and upload speeds are equal to one another. While download speeds are often emphasized by broadband providers, upload speeds are also an important consideration. This is particularly true if your business depends on uploading large amounts of data to cloud-based services. Download speeds are usually much faster than upload speeds because most internet users retrieve data from the internet rather than transmitting data and files to the internet. If you are a user who uploads large files or other information, you should look for faster upload speeds. Many providers are able to easily provide higher upload speeds by lowering download speeds while maintaining the same broadband plan. The smallest unit of digital data is a bit. ​A byte is equal to 8 bits and a thousand bytes is a kilobyte. Several years ago, this was the highest level of speed you would need to know. Typical dial-up connections were no more than 56 Kbps. Broadband speed is typically measured in megabits per second. One megabit is equal to 1000 kilobits and it is commonly stated as Mb or Mbps (e.g., 15Mb or 15 Mbps). Speed requirements are rapidly increasing, with gigabit speeds (Gbps) quickly becoming the new standard for economic development and institutional use. Now that you are able to determine what speed you need to run the applications you want, which broadband technology is able to deliver those speeds? By its very definition, broadband is a high-speed Internet connection which is also always on. Dial-up access, on the other hand, requires a modem to initiate a 56 Kbps connection to the Internet. The Federal Communications Commission (FCC) raised the minimum speed of broadband to 4 Mbps downstream and 1 Mbps upstream. This is now the new standard for a minimum broadband connection. However, this is inadequate for many applications, including streaming video services such as Netflix. The FCC outlined out an ambitious goal in the National Broadband Plan with regard to broadband speeds. One of President Obama's primary broadband goals was to connect 100 million people to 100 Mbps speeds by 2020. If the speed of your connection may be different than what your provider advertises, how do you know what you're actually getting? The FCC offers tips and a testing platform to help you determine if you're getting the speed you're paying for. Another option is to use an online speed test and quite a few are available for free. There may even be one specific to your internet provider if you use one of the larger companies. One non-ISP to check out is speedof.me. It's very easy to use and will give you relatively accurate results in a minute or so. If you find that your connection seems slow or that it's not testing to the standards your service should provide, call the company and discuss this with them. Of course, we must keep in mind that our equipment plays a factor as well. 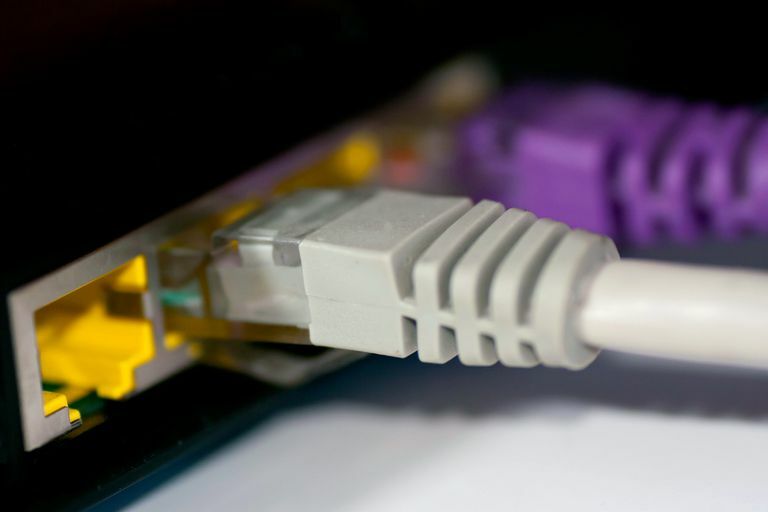 A slow wireless router or computer can seriously damper your internet connection.